If all the James Bond villains got together and opened a museum, this would be it. 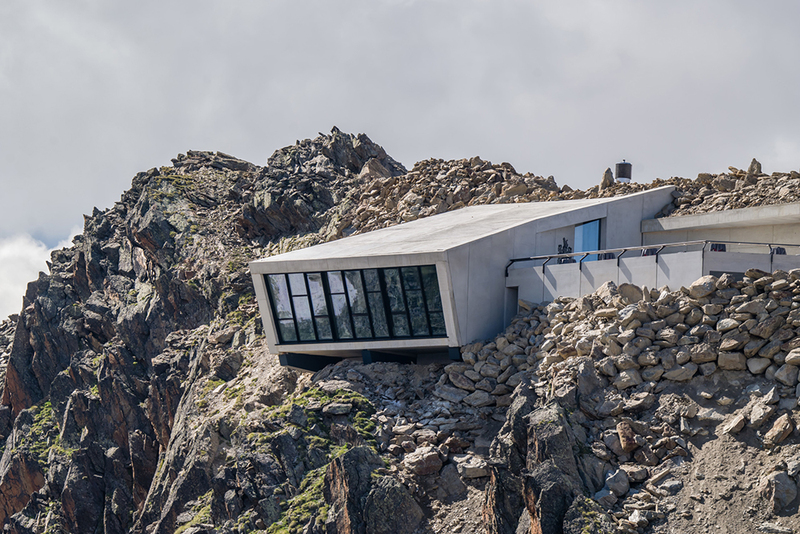 Carved inside a mountain, surrounded by snow, reachable only by an alpine gondola, the remote location was the ideal set for the 2015 Bond movie Spectre. 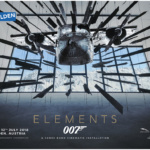 Now it’s transformed into 007 Elements, a Bond-themed spy museum that opened on July 12 in the Austrian Alps. 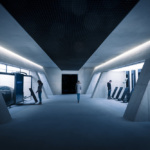 Designed by Johann Obermoser of Obermoser arch-omo ZT GmbH | Architektur in Innsbruck, the two-level museum is located on top of and inside the Gaislachkogl mountain in Sölden, Austria, site of a popular ski resort and location of the fictional Hoffler Klinik that appeared in Spectre. 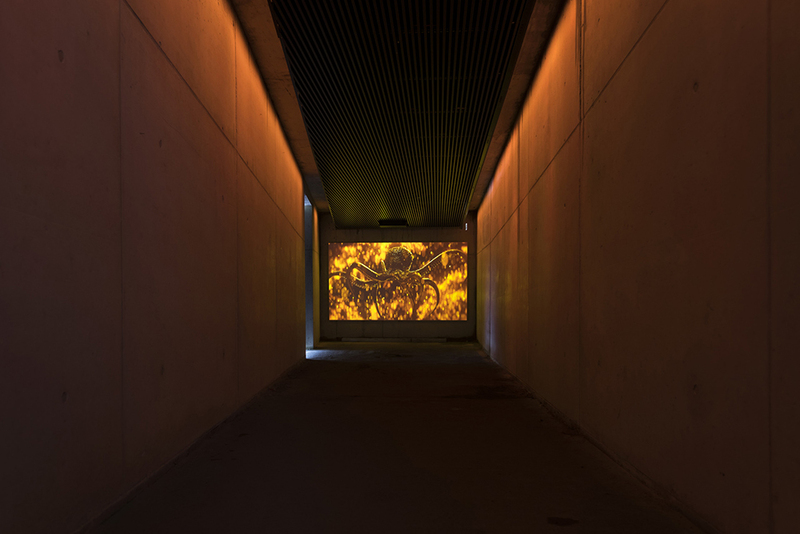 Planning for the project began while Spectre was being filmed in 2015. 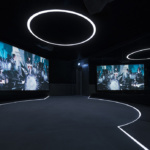 The museum primarily focuses on that movie, the 24th in the Bond franchise, but highlights others as well. Visitors reach the museum by taking a cable car to the top of the mountain, nearly 10,000 feet above sea level. The museum is filled with props and other artifacts from Bond movies, including the plane used in Spectre, which is suspended like a Calder mobile. 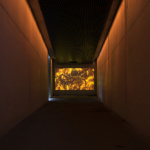 Inside are nine galleries that were designed to be ‘floating cubes’ set within the mountain. 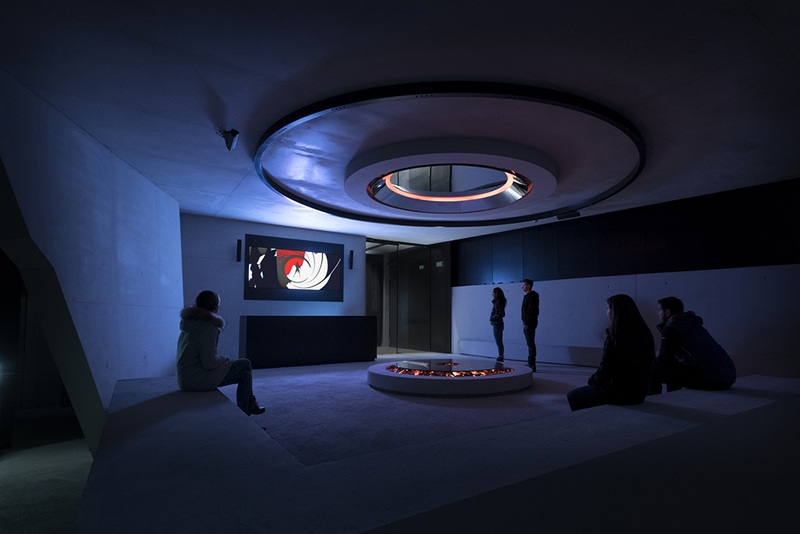 These chambers employ dark lighting, sound effects, mirrors and videos to evoke the feel of a villain’s underground lair. The only parts of the museum that are above ground are the entrance, exit, two windows, and a plaza that provides sweeping Alpine views. 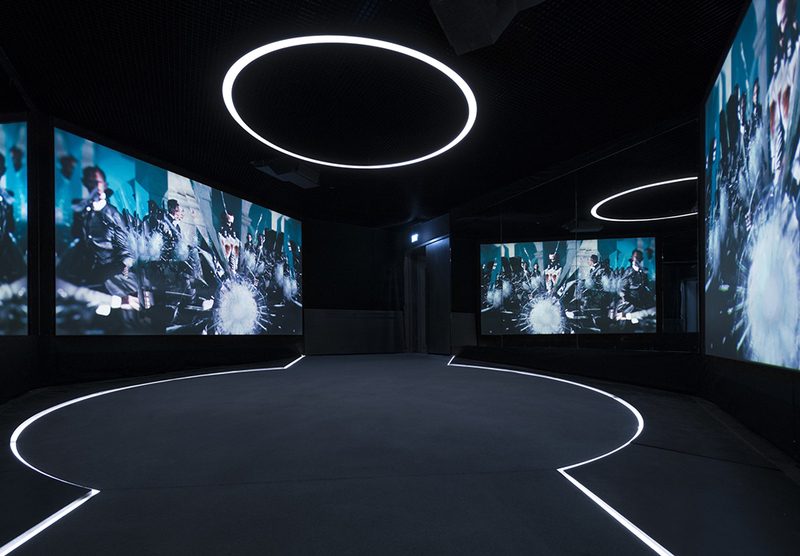 Each cube showcases a different aspect of filmmaking, such as title sequences, music, special effects, stunts, spy gadgets, and cars. 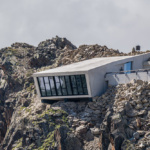 The museum is a joint venture of EON Productions, a production company behind the Bond films, with MGM Studios, and Jakob Falkner, owner of the cable car company at the Sölden resort. 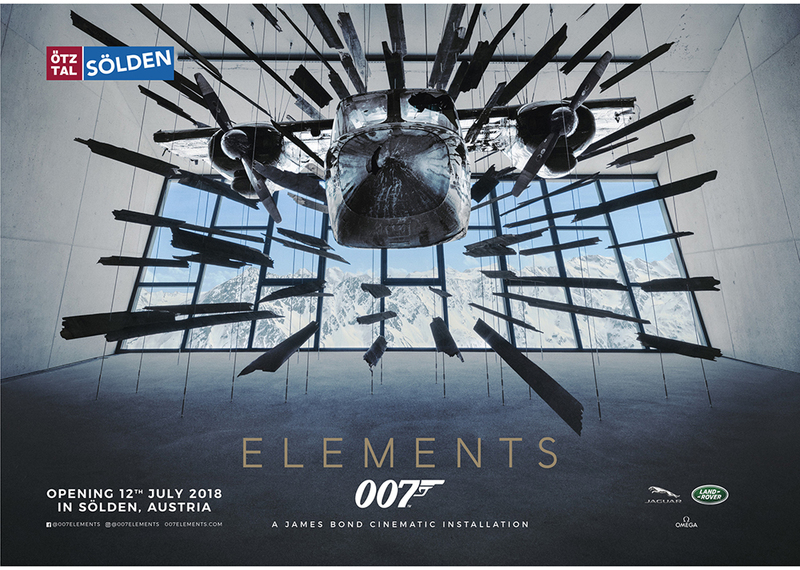 The museum’s creative director is Neal Callow, who served as art director for the last four Bond films, all starring Daniel Craig. 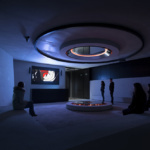 The galleries are intentionally not heated or air conditioned, so visitors could experience “the extreme climate conditions of high altitudes,” according to the architect’s website. 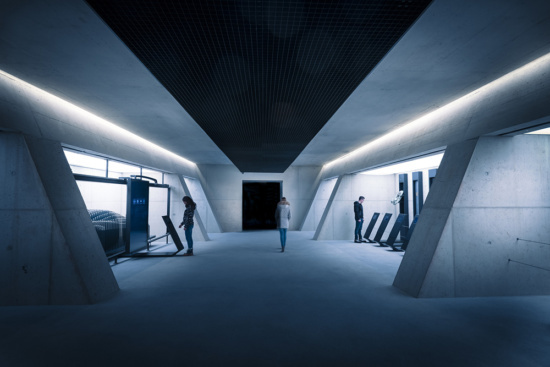 The museum is next to ice Q, a restaurant that doubled as the Hoffler Klinik in Spectre and was designed by the same architects.